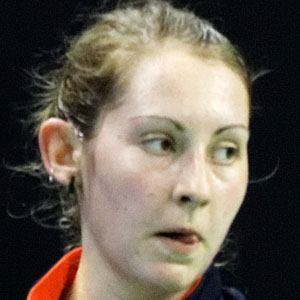 International badminton player who became the first Scottish woman to reach the finals in a Commonwealth Games badminton singles event. In 2013, she lost her first match at the Yonex Belgian International. She lost to Michelle Li in the final of the 2014 Commonwealth Games, earning a silver medal. She was ranked 17th in the world as of August 2014. She is a professional badminton player like Camilla Martin.